Expect him to rifle through the classics on November 23rd, with doors open at 8pm. Tickets are on sale at £21.50 advance + booking fee. You can find out more at the Fairfield Hall website. 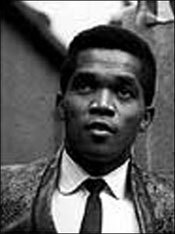 If you happen to be further north, Prince Buster is also part of a very strong bill at the Newcastle Boss Sounds Reggae Festival, which takes place on November 25th 2007. You will find more details of that event here. boss date of 2007 !